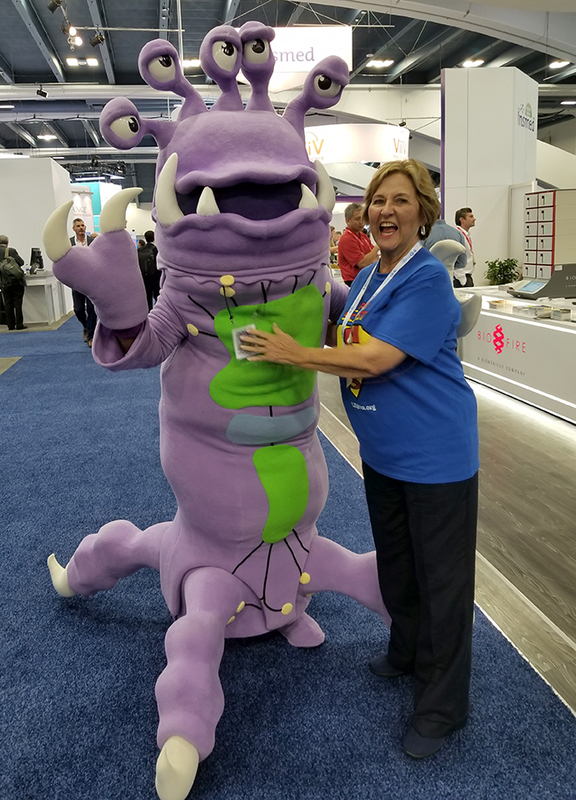 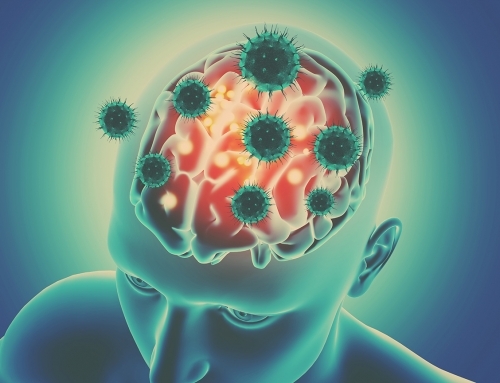 ALZ Germ Ambassador Encounters Flu Bug in San Francisco | Alzheimer's Germ Quest, Inc.
Sheila Harris-Schutz, the Goodwill Ambassador of Alzheimer’s Germ Quest, was a member of our exhibit team at #IDweek2018 in San Francisco. 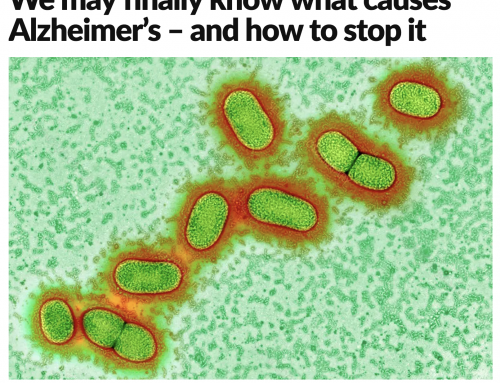 Here she encounters the so-called “flu bug”. 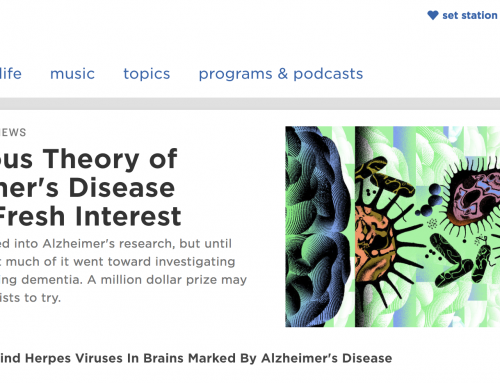 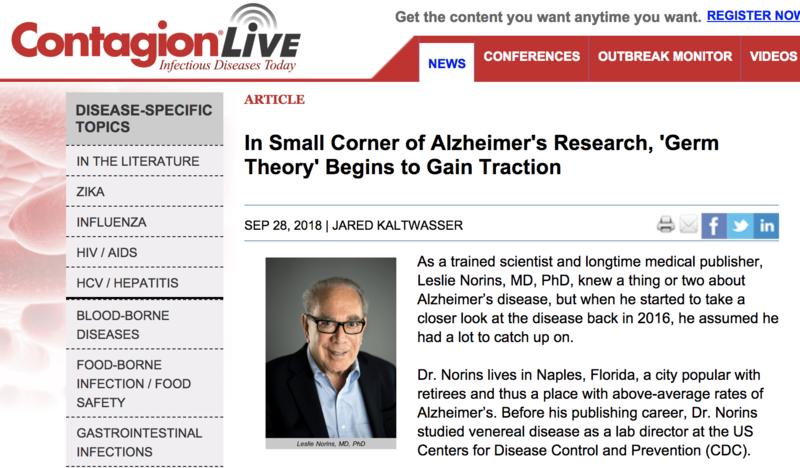 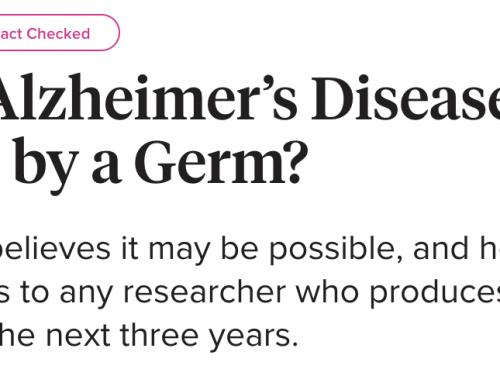 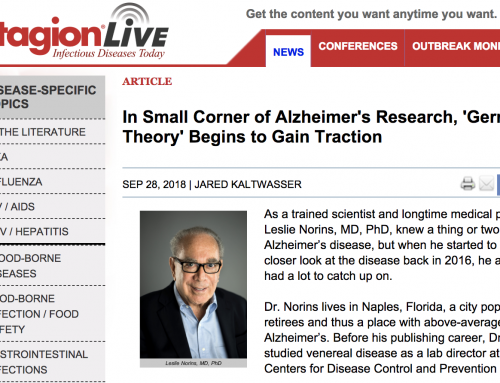 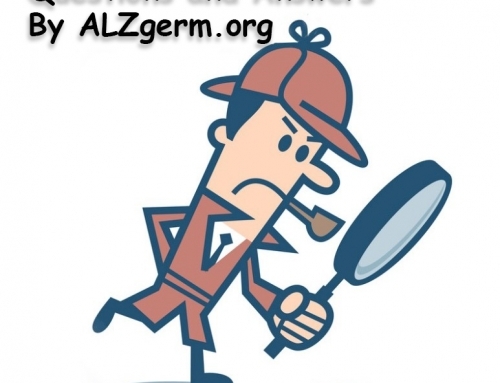 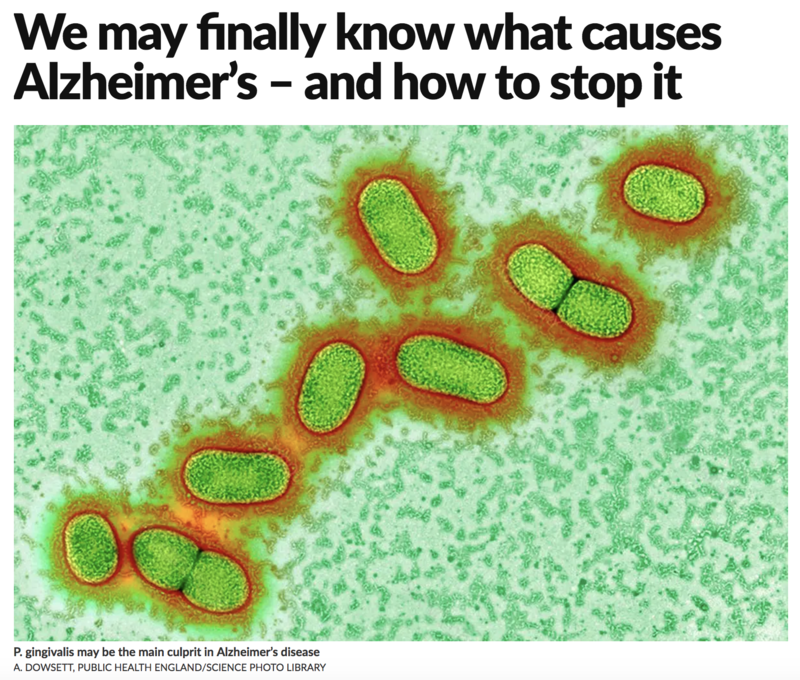 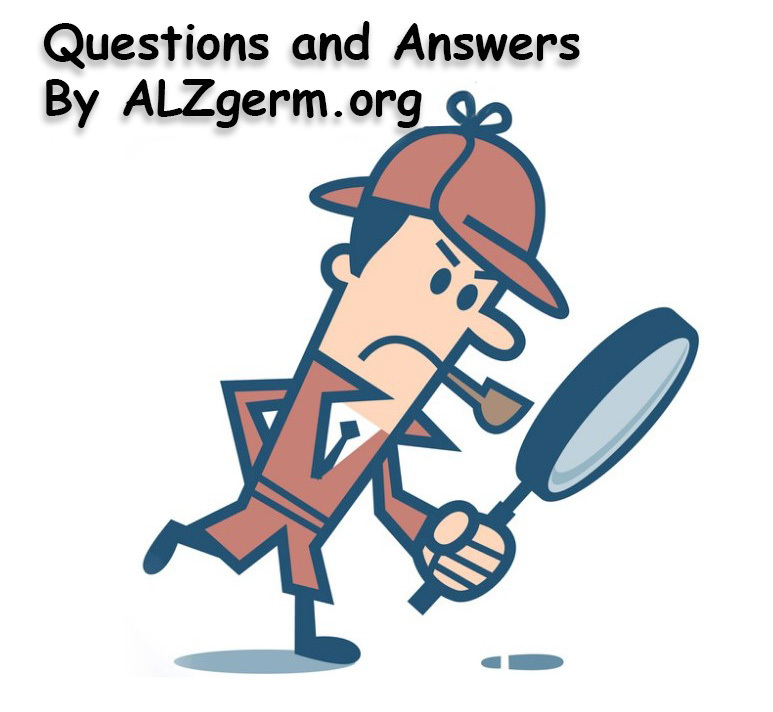 We are pleased to report that it is definitely not the Alzheimer’s Germ! 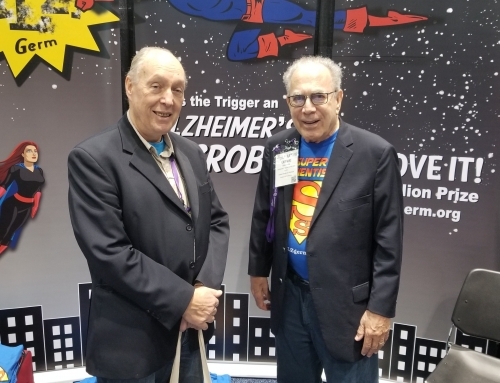 See more photos from our exhibit booth on Facebook.